After hours of interacting with humans, sometimes, I like to turn on my consoles and have at it with whatever game I am playing; whether it be a post apocalyptic wasteland, a fantasy kingdom with Dragons and castles, or a city in the sky or underneath the sea. Of course, to add some realism to these games (or because why the hell not ?) 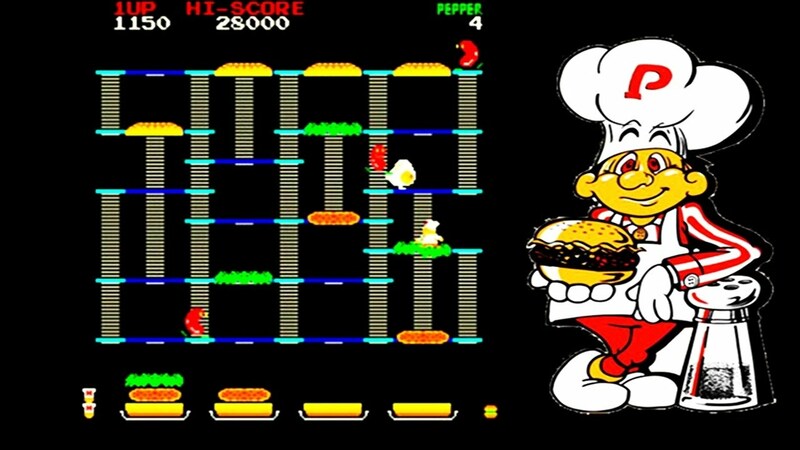 game designers add elements of the real world into their games, one of which is food. Here are 7 food items from popular video game series. Starting off with one of my favorite things in the world, cake. 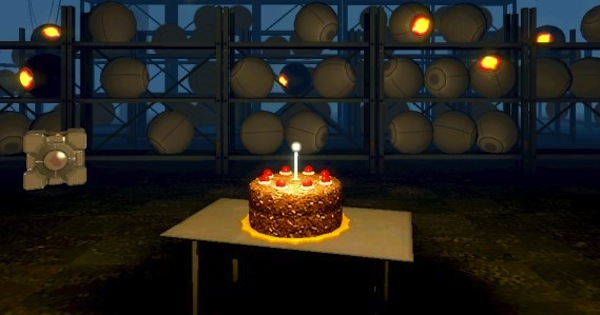 The cake in question (Supposedly a German Chocolate cake) is actually part of a reward that GLaDOS offers to Chell in the Portal series of games. 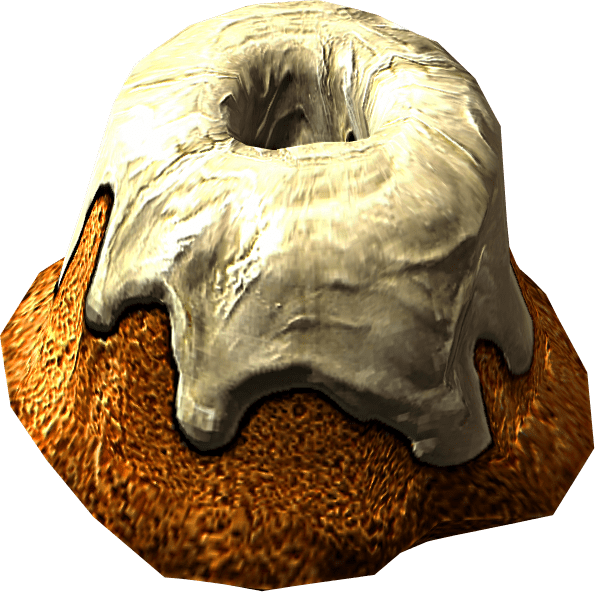 Chell discovers, however, that the cake might not be what he thinks it is, and so the meme “The cake is a lie” is born, after graffiti from a former test subject reveals. If you want to make the cake, give this recipe a try. While not as well known here in America, CalorieMate bars are a popular food item in Japan. The nutrition bars were created in 1983, come in bar, jelly and canned form and are seen as a meal on the go in Japan. 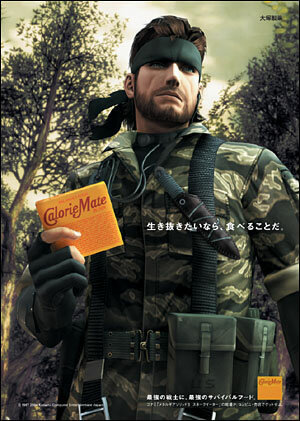 Snake uses them to restore his stamina in the Metal Gear Solid series and is also seen on ads in Japan with the bars in his hand. American’s wanting in on the action can pick them up from Amazon. 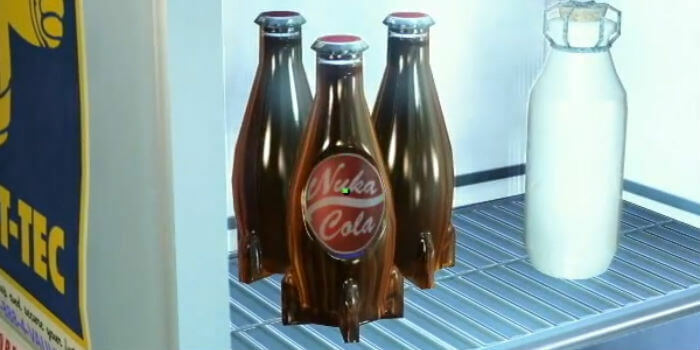 Apparently able to survive the end of the world, via nuclear war, Nuka Colas are ubiquitous with the Fallout universe. Drinking one of these restores your health and stamina, and there are even cherry and “quantum” versions available, but I always stick to the classic when I am wandering the hell ravaged wasteland of post nuclear apocalypse America. The Super Nintendo gave us titles that are still enjoyable for those of us who haven’t sold off our old systems for 8 bucks at a garage sale. Donkey Kong was just one of those titles, whose simple game play and lack of heads up display made for an enjoyable adventure. In the game, Donkey Kong’s hoard of banana’s has been stolen, and its up to him and Diddy Kong to get them back. We’re not sure why he needs that many bananas, but hey, it’s his jungle and his rules…I guess? Mushrooms – Super Mario Bros.
We’re sure you’ve heard the many drug related jokes about the nature of the mushrooms on this classic console game. 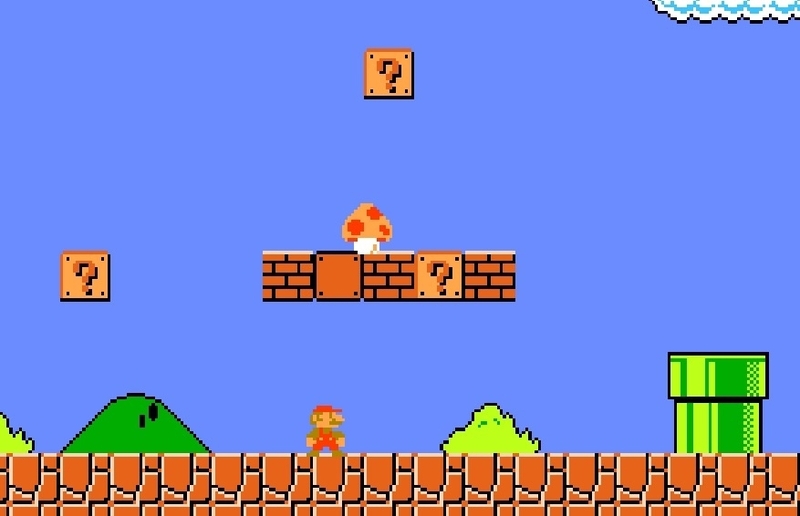 Any gamer old enough to remember that first moment on the screenshot above knows the feeling of finding that first mushroom and feeling the power. (Did you also know that, due to the graphics at the time, Mario is actually punching the blocks, not head butting them as it is popularly known). What did you guys think? Are we missing anything from the list? Let us know what you think in the comments below. Thanks to the geekychef for their recipes. Indulge your geeky, epicurian fantasies by checking out their website. OOPS: In the Donkey Kong section, the screen cap was earlier attributed to the N64 Version when in fact, it was from the Super Nintendo Version. The error has been fixed and the writer has been placed in stocks ready to have produce thrown at him.